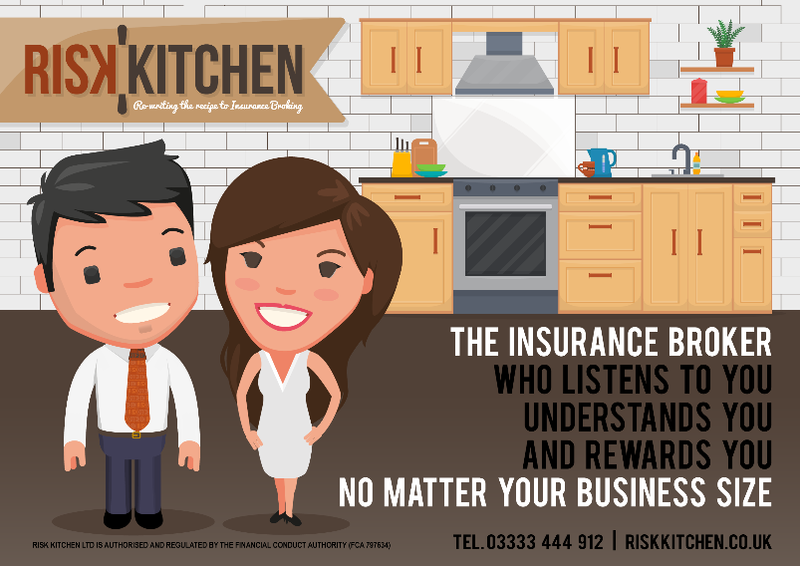 Risk Kitchen Insurance take the risk away from business owners and make it simple! Insurance doesn’t have to be boring or mind-boggling, with over 20 years experience in the industry and a wealth of contacts behind them, you’ll be guaranteed the same service from Risk Kitchen whether you are a Mum working from home or a multi-millionaire portfolio owner. If you are looking for a company who understands your needs, reward you and most importantly look after you then look no further than Risk Kitchen. Welcome to Risk Kitchen, pull up a pew, make yourself a brew and let us explain how we got here. Founded in 2017, Risk Kitchen was born out of a frustration with the traditional broking model. Husband & Wife team Jessica & Gary, set about creating a business that is friendly, efficient and fiercely supportive of small business. Insurance doesn’t have to be boring or mind-boggling, with over 20 years experience in the industry and a wealth of contacts behind us, you’ll be guaranteed the same service whether you are a Mum working from home or a multi-millionaire portfolio owner . We take the risk away from business owners and make it simple! Q How do we get a quote? Q How do we find out more about your insurance services?